Learn how to identify – and avoid – these diabetes type 2 complications. Type 2 diabetes is a chronic medical disorder that causes the sugar levels in the blood to rise higher than normal. High blood sugar levels can affect the body in many ways, causing adverse type 2 diabetes complications. 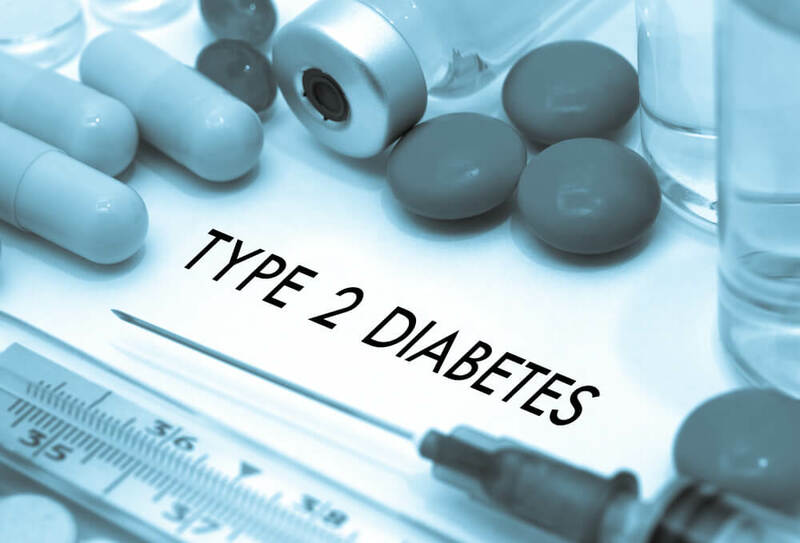 If you have diabetes type 2, it is important that you know how to identify symptoms early before you have more serious diabetes type 2 complications. Click here to learn 7 early signs of diabetes. Normally, the hormone insulin assists in removing sugar from the blood and placing it in other cells where it is stored and used for energy. Type 2 diabetes causes insulin resistance, which prevents the body from processing insulin properly. At first, the body may produce extra insulin to counter the unbalance, but eventually the body will not be able to make enough insulin to keep the blood sugar in the normal range. When this occurs, the individual will experience type 2 diabetes complications that can affect his/her health and quality of life. That is why it is imperative that type 2 diabetes patients learn to identify complications and employ treatments. Kidney disease is a serious medical condition that can be exacerbated by high blood sugar levels. The patient must try to keep blood sugar and blood pressure levels within an ideal range that has been determined by their doctor. High blood pressure (hypertension) is a serious complication that can increase the risk for eye problems, kidney disease, heart attack and stroke. Foot problems are a major concern for type 2 diabetics, and can involve changes in the skin, blood flow, calluses, sores, ulcers, pain, nerve damage (neuropathy), and slow healing, that can lead to amputation. Did you know your chances of having a stroke are increased if you have type 2 diabetes? A stroke can cause, brain damage, motor skill impairment, numbness, problems with thinking, speaking and memory, and also emotional problems. To reduce the risk of stroke you should maintain your type 2 diabetes treatment options like: keeping blood sugar, blood pressure, and cholesterol levels within the ideal range. The best type 2 diabetes treatment options include eating a well-balanced diet of fruits, vegetables, whole grains, fish, healthy fats, and low-fat dairy. Avoid sugar, beef and organ meats, processed meats, margarine, baked goods, shellfish, trans fat, fried and salty foods, and sugary drinks. Ask your doctor to give you a diet plan that will help you manage your blood sugar levels. Also get enough exercise and rest, and maintain a healthy body weight. You can learn even more tips at www.BetterHealthKare.com.